39 Comments As an Amazon Associate I earn from qualifying purchases. 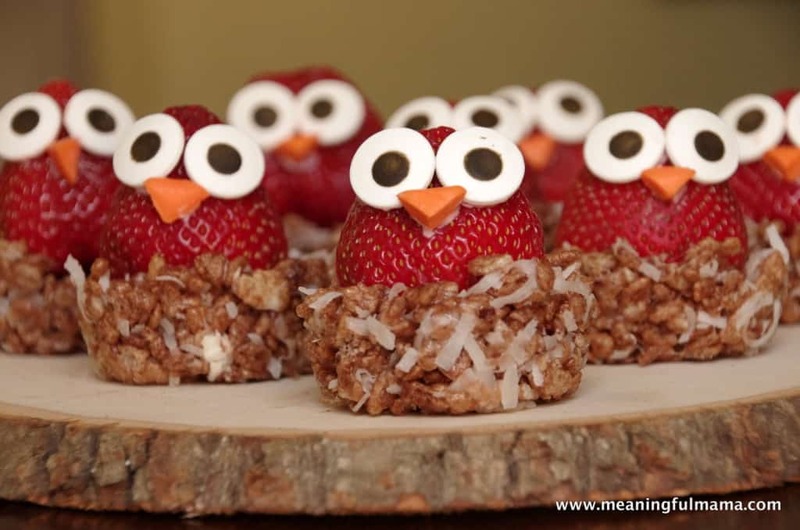 My daughter’s owl birthday celebration is this weekend, and I have been working to come up with owl themed food ideas for the party. 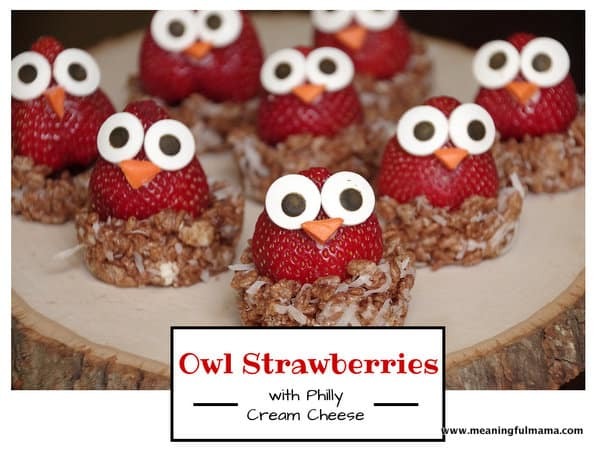 These owl strawberries with Philadelphia cream cheese are perfect for the theme. The kids will definitely enjoy the flavors of these cute treats as well – #SpreadtheFlavor. The first thing I needed to do for this recipe was head out to buy my ingredients. 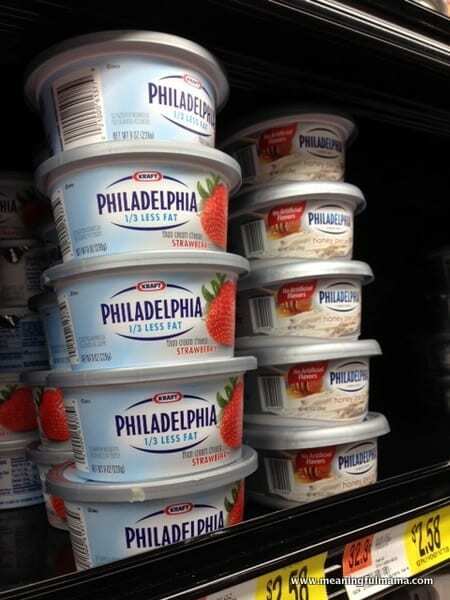 I went to my local Walmart to pick up some Philly Cream Cheese. 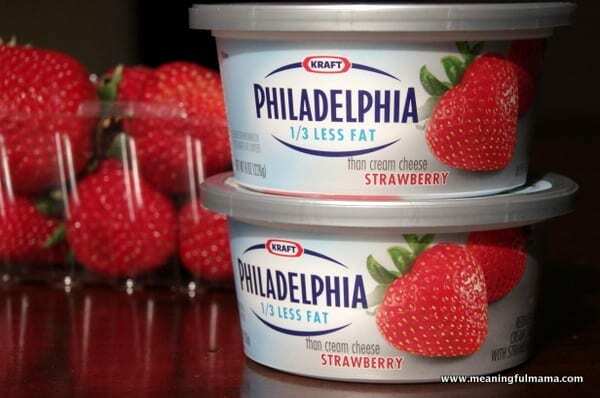 Philadelphia cream cheese comes in a variety of flavors like strawberry, garden vegetable, chive & onion and blueberry. I chose strawberry for this recipe. It can be found in the cream cheese and cheese section of Walmart. 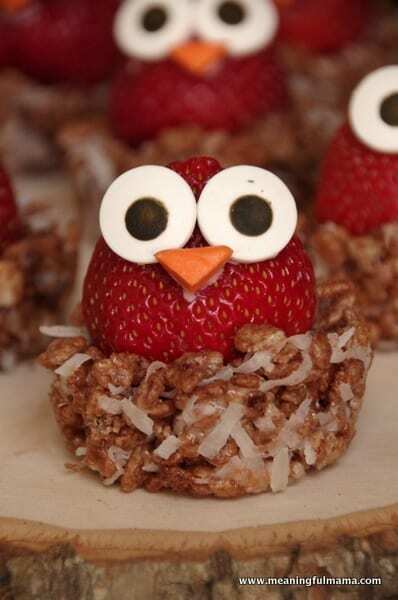 For this recipe, you will need Philadelphia Cream Cheese (in strawberry or blueberry flavor), brown sugar, Starburst minis, large Wilton candy eyes, Cocoa Krispies, coconut, mini marshmallows, and butter. You may also want to use candy melts (chocolate) or royal icing to adhere the eyes if you are prepping these a day before. You can pick up all of these items at Walmart. The candy eyes and candy melts are found in the cake decorating section of the store. I also chose the 1/3 less fat version of the cream cheese, which is another option for you. 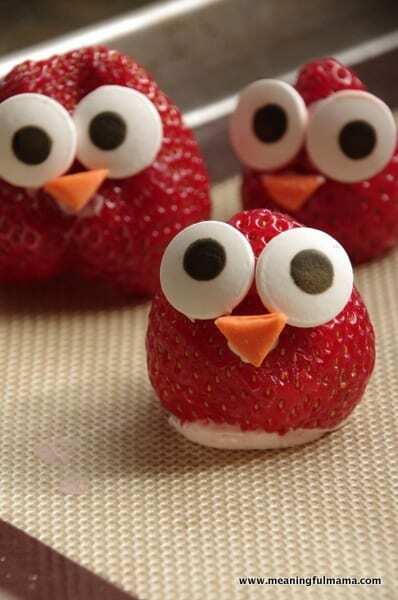 With this recipe, I made about 15 owl strawberries. 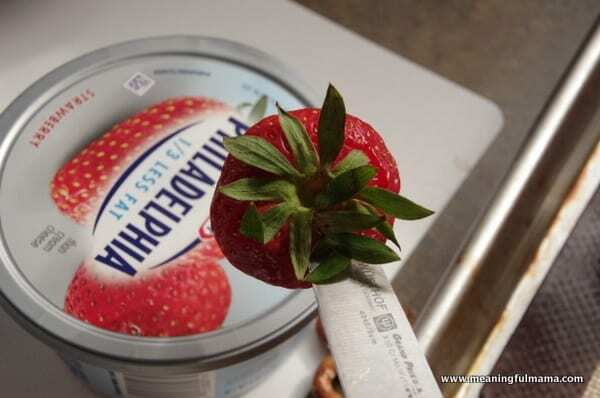 After you have purchased all of your ingredients, you will want to hollow out the center of a strawberry. 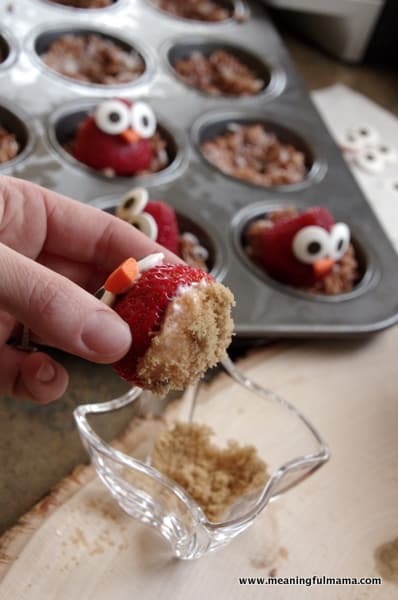 These owls need to be made the day of your party. The refrigerator will make the candy eyes and Starburst bleed. The next thing to do is mix up your cream cheese with the brown sugar. 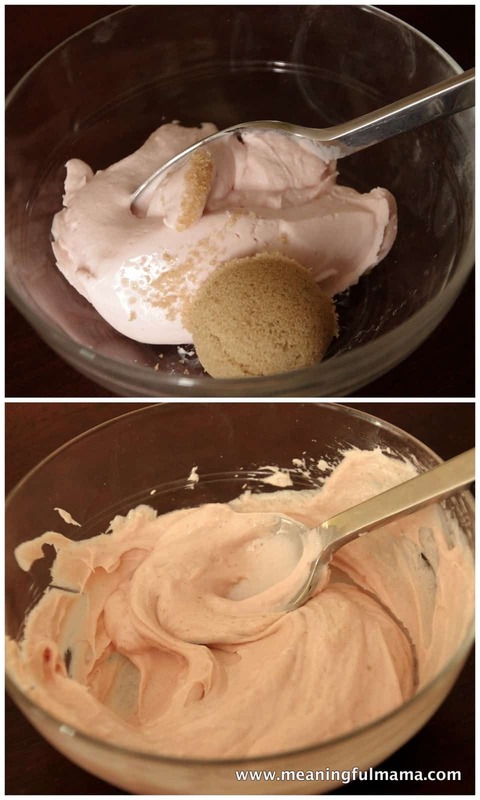 You will want to combine 4 oz of cream cheese (half an 8 oz container) with 1 Tbsp. brown sugar. Stir to combine. 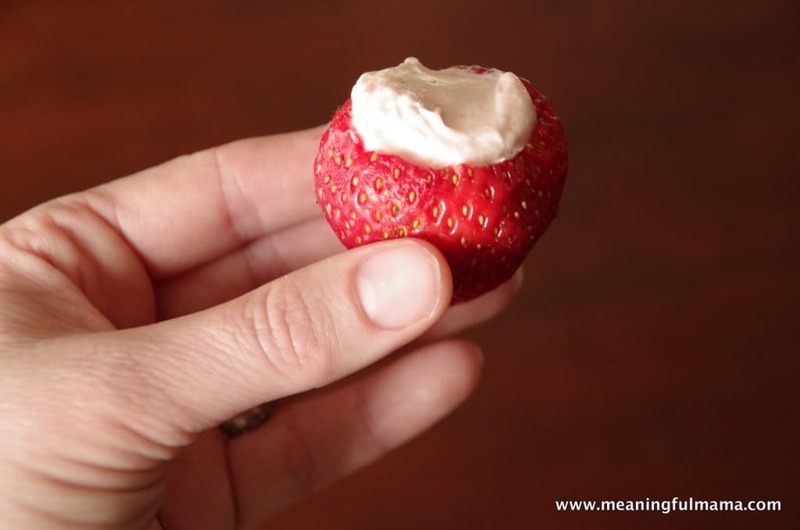 Fill the hollowed out strawberries with your cream cheese mixture. We love mixing Philly cream cheese with brown sugar for a fruit dip. You could just stop right here and eat these babies for a snack. I’m pretty sure you’ll enjoy it. However, I had more work to do to create the little owls and nests. I had seen bird nest made from coconut macaroons before, but I decided to try my own method since I like a more subtle taste of coconut. I decided to make a Rice Krispy treat version using Cocoa Krispies. I modified the original recipe just slightly to come up with the nests. In a saucepan, melt butter over low heat. Add marshmallows and stir until completely melted. Remove from heat. 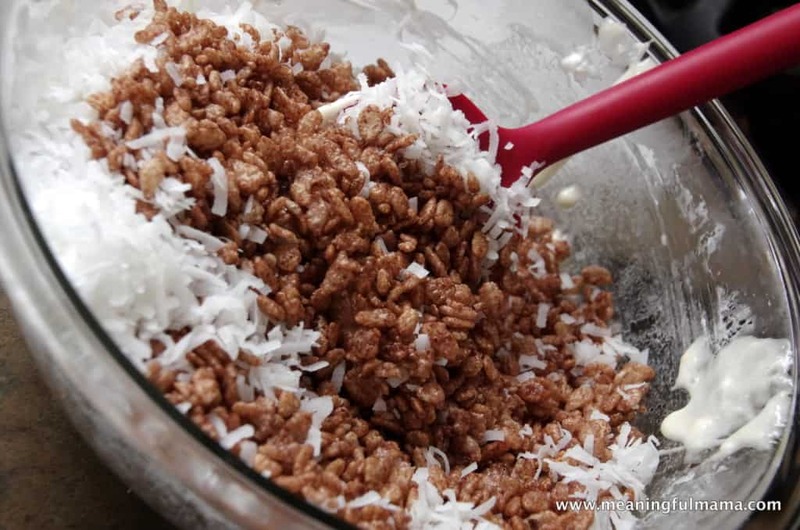 Add Cocoa Rice Krispies and coconut and stir until completely combined. Use cooking spray to spray a cupcake pan. 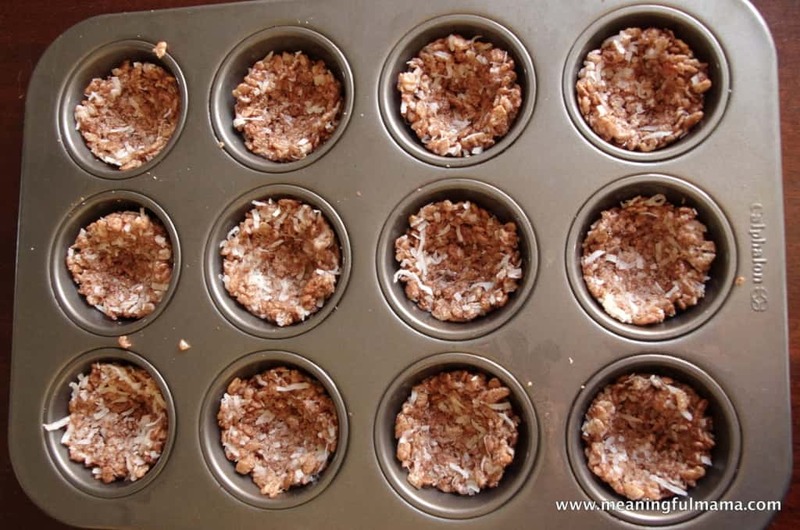 Working quickly, take a small handful of mixture and press into cupcake tin, forming a cupped nest. Continue working until all 15 nests are created. Cool. * Note – These are best if served the same day. HOWEVER, you can freeze them (nests only) so that you can prep them prior to the party. Allow enough time to defrost the day of the party. I scooped out a ball about the length of my fingers. I pressed this ball into the tin, making sure the edges were a little higher than the centers. The nests came up 1/2-2/3 the way up the side of the cupcake tin. I covered this pan of treats with plastic wrap and stuck them in the freezer for the party. Again, this recipe made 15. I didn’t want the cream cheese to ooze out of the bottom or stick to the nests, so I dipped the bottom in brown sugar. I love the results of these owls in the nest. They taste great and look adorable. It’s the perfect party food for my daughter’s owl party. Stay tuned for more of the treats we made for the party. This was a campaign done for #Collective Bias. Kraft Philly Cream Cheese wants you to help #SpreadtheFlavor. This is so different from most of the other strawberry desserts. Would love for you to share it on The yuck stops Here! recipe link up. I would also like to share it on my weekly wed. roundup with a link back. So clever and absolutely cute! Thank you so much. I am glad you like them. Thanks for commenting. Thanks so much. They’re pretty yummy too. So nice to meet you. I look forward to more local events! Just love your little owls! 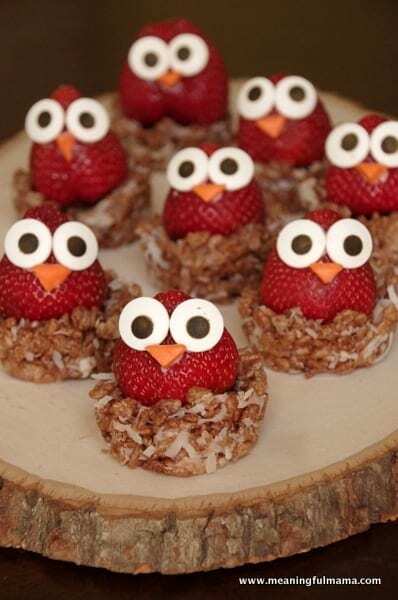 they are so cute and would add a nice touch when having an owl theme party, my daughter teaches kdg and uses the owl theme–this would be a nice treat to share with her classs…thanks for the idea! Thanks so much. I’m so glad you are going to use this idea. Let me know how it goes! 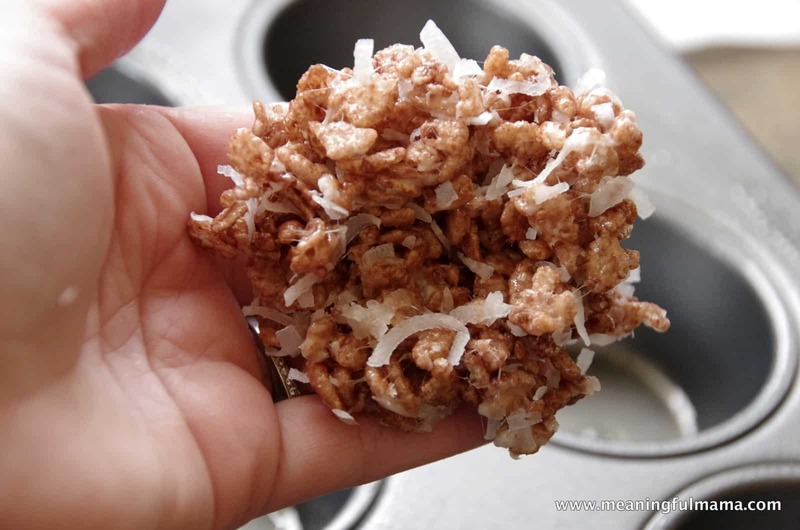 You could probably just make rice krispy treat nests. Something else that comes to mind is All Bran cereal. I’m not sure it will work, but I’d give it a go. Actually, I just searched and found this recipe using chow mien noodles: http://www.food.com/recipe/bird-nests-280662. Let me know what you find works for you. Thank you so much for your recipe and photos. I created this today for my niece’s birthday party. They are so cute people didn’t want to eat them. Please note: They are delicious!!! Here is a picture of how they turned out. So fun! Thank you so much for sharing your picture with me. I’m so glad everyone enjoyed them. Great work! Wow, Very creative. Love it that they are fitting for any season and many occasions & Look simple to make. Thanks so much. We had a lot of fun making and serving these. I appreciate you taking the time to comment. Thanks so much for including me in your round up. I just pinned it. Your kids would love these! 🙂 Have fun with it. I want to make these for my daughter’s birthday party. I can’t tell from the picture though…Did you use a regular sized cupcake pan, or a mini cupcake pan to set the nests in? Thank you for sharing such a cute idea! Good question. They were actually made in regular sized cupcake pans. I hope that helps. 🙂 Have fun with it. They’re pretty yummy. Thanks so much! Enjoy! Hi will it be too sweet if we use brown sugar to stop the cream cheese from ozing out? I didn’t find it too sweet. I’m trying to think of what else you could try. Coconut maybe. I’m kind of questioning if you would need it at all or if you could just eliminate it. You could also try some chopped nuts. Let me know what your solution is.